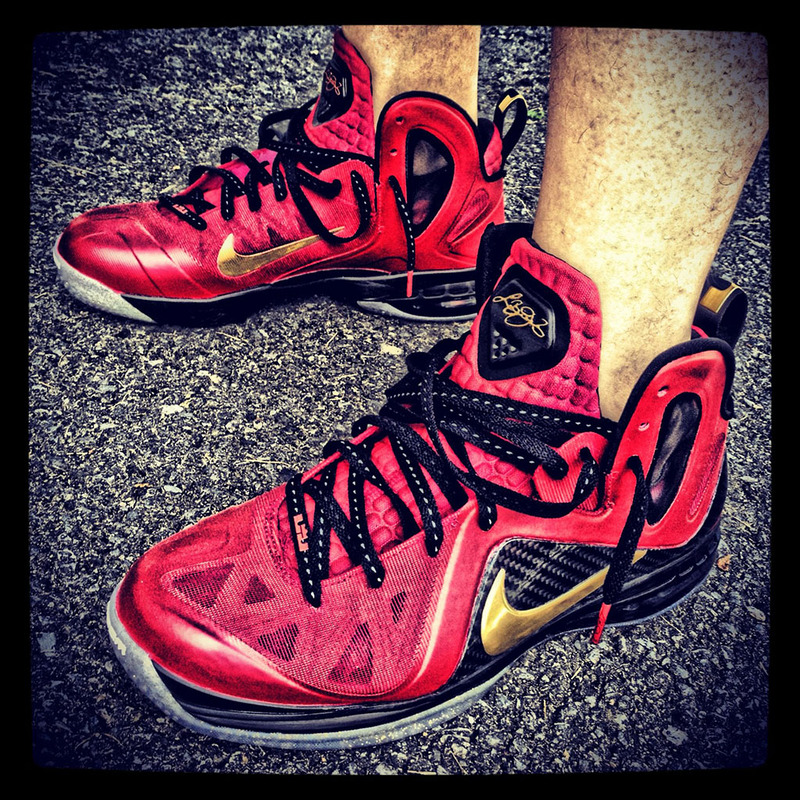 While sneakerheads are holding out hope for a release of red-based "Finals" Nike LeBron 9 P.S. 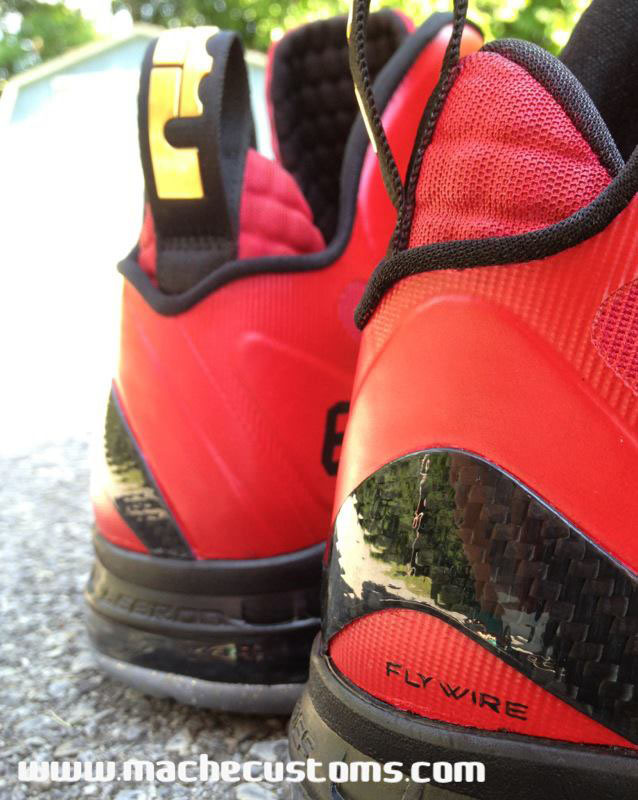 Elite, customizer Mache gets a jump on things by working on a pair of his own. 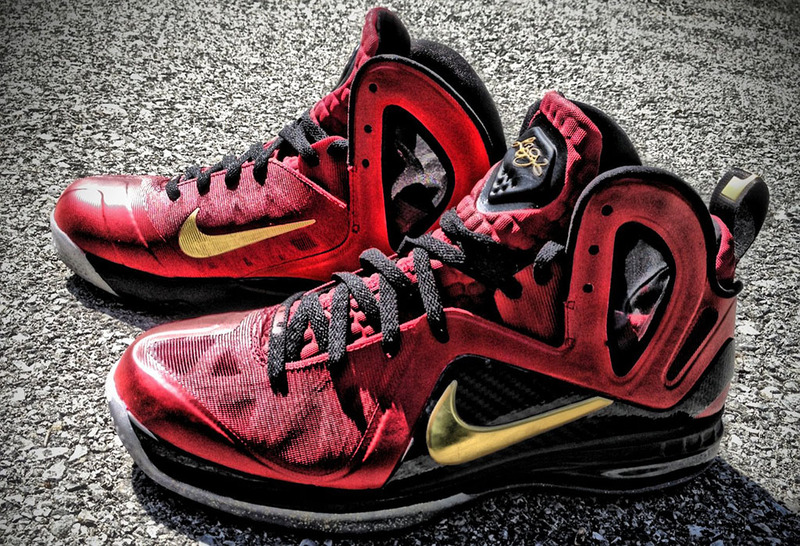 While sneakerheads are holding out hope for a release of red-based "Finals" Nike LeBron 9 P.S. Elite, customizer Mache gets a jump on things by working on a pair of his own. 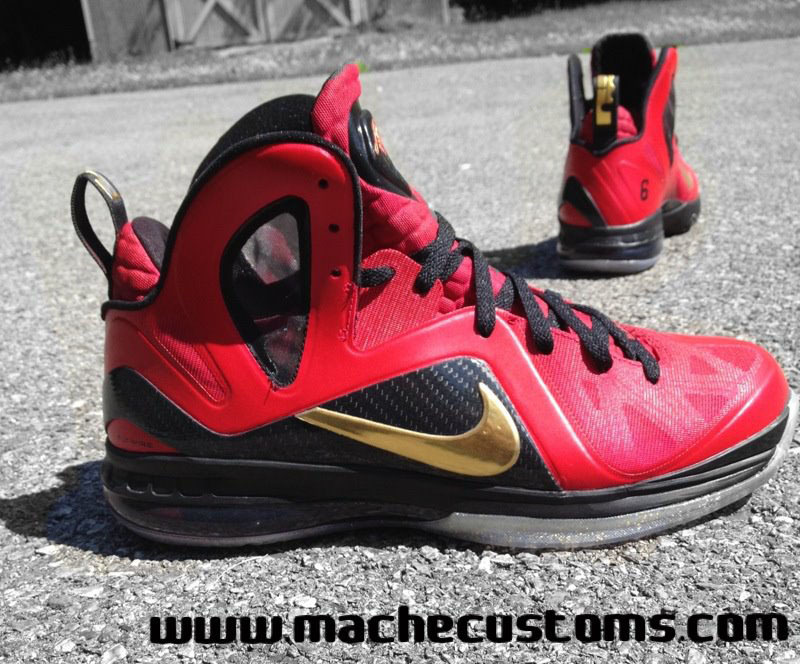 Using the released "Home" colorway as the base shoe, Mache added red to the Hyperfuse upper and Pro Combat inner-sleeve to achieve the "Finals" look. LeBron's jersey number '6' was added to the medial sides of each shoe, while golden details stand out on the Swoosh logos, tongue and pull-tab design and outsole speckle. 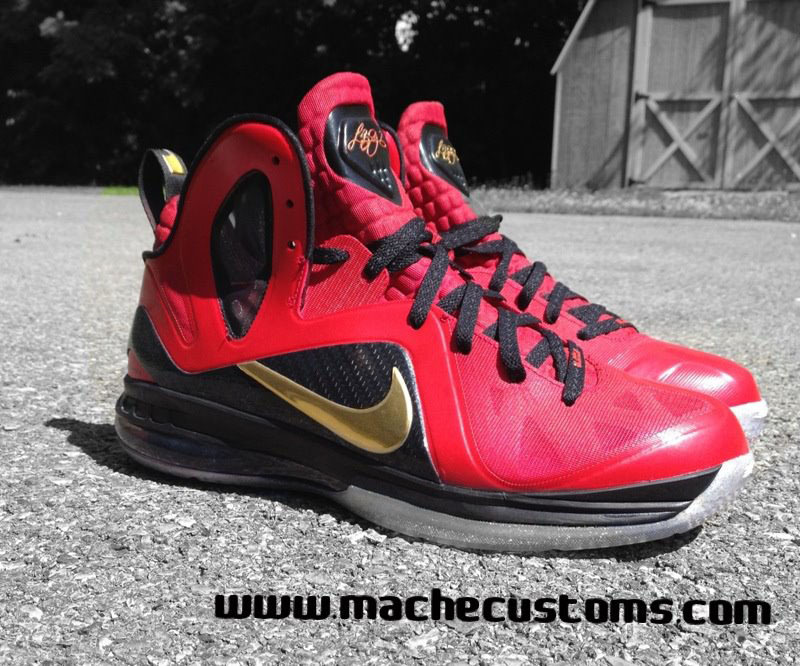 A limited run of the "Finals" 9 Elite will be made available at MacheCustoms.com in the near future. 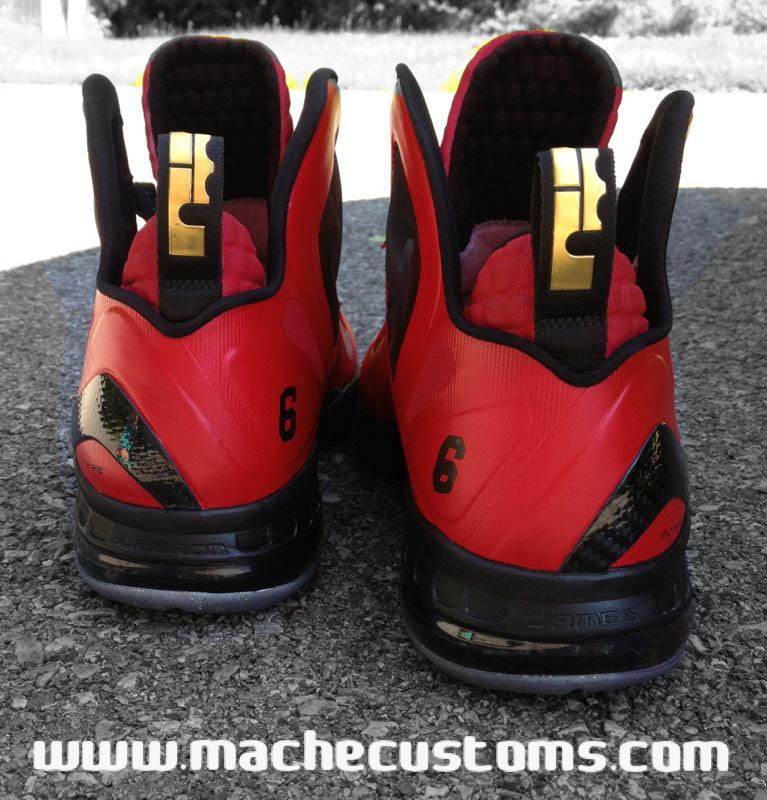 Be sure to follow @MACHE275 on Twitter for updates.